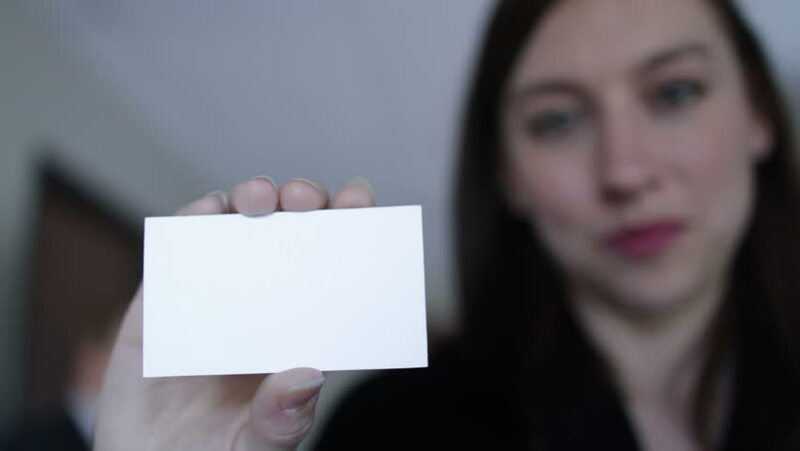 Young woman holds up a blank business card to the camera. If last frame is frozen, various text or graphics can be added to the card. Camera mounted on moving jib arm. hd00:23Close-up shot of hands cutting a credit card. Find similar clips in our portfolio. hd00:09Business man holds up a blank business card to the camera. If last frame is frozen, various text or graphics can be added to the card. Camera mounted on moving jib arm.